Q. Where is the pilot light? A. Follow the small copper and zinc lines. 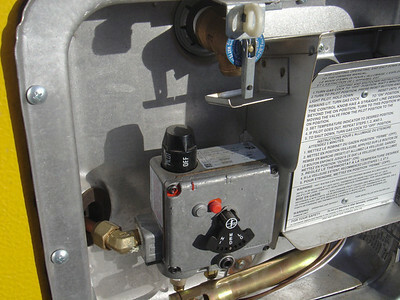 The pilot is inside(behind the bracket) to the right of the burner compartment. Q. I've turned the knob to pilot and depressed it but I still can not light the pilot A. Start by lighting the stove to confirm that there is gas in the line. Turn the gas knob to the pilot and keep pressing down the knob as you try to light the pilot. You may have to keep pressing down the knob for a while as you will need to purge the gas line of air. 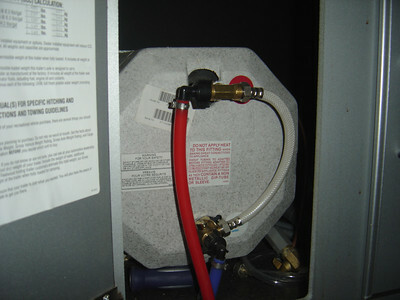 If that does not work you may need to clean out the pilot light aperture with either a solvent or compressed air. Do not use any object to clean the aperture. Q. 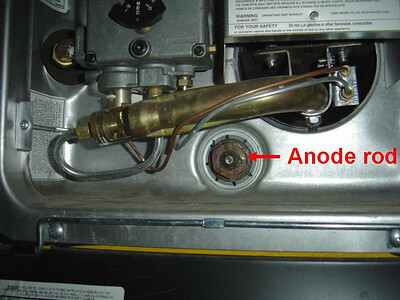 What size socket do I need to remove the anode rod. A. 1 1/16 inch socket. Q, When do I need to replace the sacrificial anode? 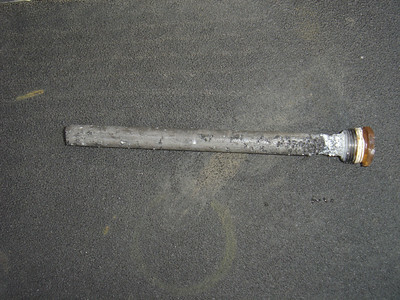 A, Suburban recommends annually of after 75 percent of the rod has been lost. I replace mine once I can see the steel inside core. This rod is one year old. Also remember to add Teflon tape to threads of the new rod..
Q. What is the water heater by pass and how does it work? A. The by pass is the white hose in the picture above. 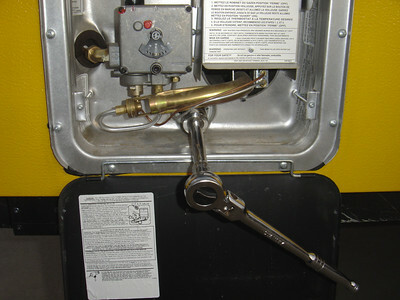 It is used to avoid filling up the hot water tank with antifreeze when winterizing. Note the tank needs to be drained during the winter and should be filled before heating the water in the spring.